Are You Ready For The Events Foretold? The Mark (Part 1) – What Exactly Is It? Turkish tank units have entered Syria as part of a military operation backed by Turkish and US-led coalition warplanes to clear the Islamic State of Iraq and the Levant (ISIL) group from the Syrian border town of Jarablus, according to Turkish state media. Turkish special forces had crossed the border and entered Jarablus early on Wednesday, officials said. “The operation, which began at around 4am local time (01:00 GMT), is aimed at clearing the Turkish borders of terrorist groups, helping to enhance border security and supporting the territorial integrity of Syria,” Anadolu Agency quoted Turkish officials as saying. 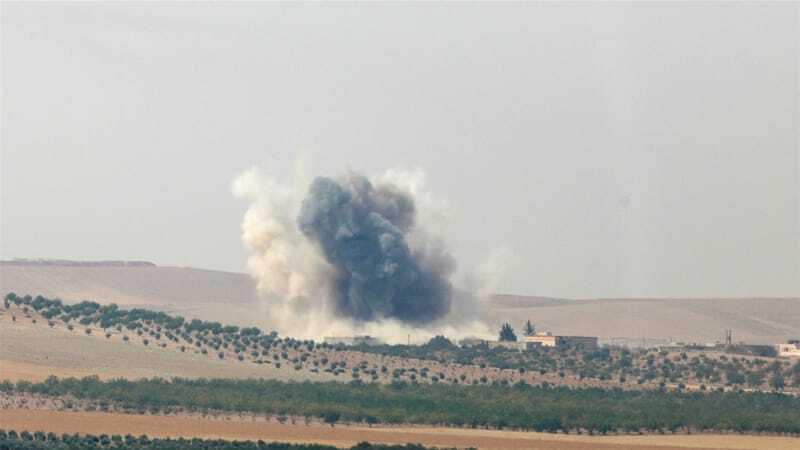 Turkish media said the operation involved artillery and rocket shelling as well as warplanes, before the ground forces, including heavy armoured vehicles, entered Syria towards noon. So far, Free Syrian Army (FSA) fighters backed by Turkey have captured four villages and total of 46 ISIL fighters have been killed in the operation, Dogan news agency said on Wednesday. Turkish daily Hurriyet reported that Turkish tanks in Syrian territories blocked ISIL’s support routes and Turkish fighter jets along with coalition jets pounded ISIL vehicles headed from the al-Bab region to support ISIL fighters in the Jarablus area. Meanwhile some 5,000 FSA fighters, including groups from the Sultan Murat Brigade, Sukur al-Jeber, Sham Front and Feylek al-Sham, were reportedly advancing toward central Jarablus. The operation is targeting ISIL and Syrian Kurdish fighters in northern Syria to end attacks on Turkey’s border, President Tayyip Erdogan said in a speech in the capital Ankara on Wednesday. “At 4:00 this morning, operations started in the north of Syria against terror groups which constantly threaten our country, like Daesh [the Arabic acronym for ISIL] and the PYD [the Syrian Kurdish group],” he said in a speech in Ankara. Turkey had pledged on Monday to “completely cleanse” ISIL fighters from its border region after a suicide bomber suspected of links to the group killed 54 people at a Kurdish wedding in the southeastern city of Gaziantep. Turkey is also concerned about the growing influence of Syrian Kurdish groups along its border, where they have captured large expanses of territory since the start of the Syrian war in 2011. Turkey sees them as tied to the PKK, which has been waging an armed campaign mainly in the country’s southeast. “It is hard to conduct this operation without the green light from Moscow, Tehran, Damascus and Washington,” Metin Gurcan, security analyst, told Al Jazeera from Istanbul. 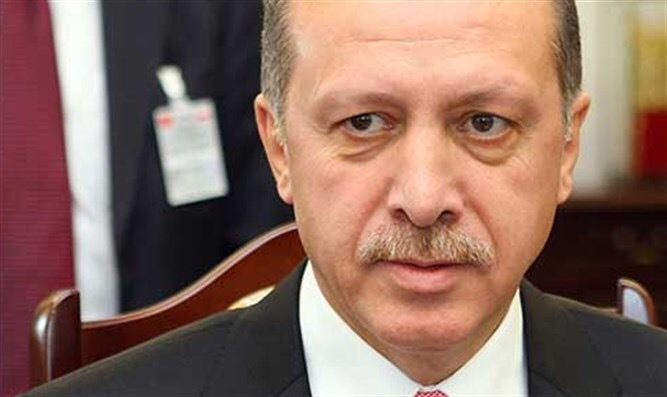 “The open objective in this operation is that Turkey is trying to create an ISIL-free humanitarian zone by clearing Jarablus for possible flow of refugees,” he said. The military operation against ISIL comes as Syrian rebels, backed by Turkey, also say they are in the final stages of preparing an assault from Turkish territory on Jarablus, aiming to pre-empt a potential attempt by Syrian Kurdish forces of PYD to take it. The PYD, a critical part of the US-backed campaign against ISIL, took near-complete control of Hasaka city on Tuesday. The group already controls chunks of northern Syria where Kurdish groups have established de facto autonomy since the start of the Syria war – a development that has alarmed Turkey. Turkey’s army and international coalition forces on Wednesday started an operation to drive Islamic State jihadists out of a key Syrian border town, a statement from the Turkish prime minister’s office said. “The Turkish Armed Forces and the International Coalition Air Forces have launched a military operation aimed at clearing the district of Jarablus of the province of Aleppo from the terrorist organisation Daesh,” it added, using an Arabic acronym for IS group. The state-run news agency Anadolu said the operation began at around 4 am local time (0100 GMT). 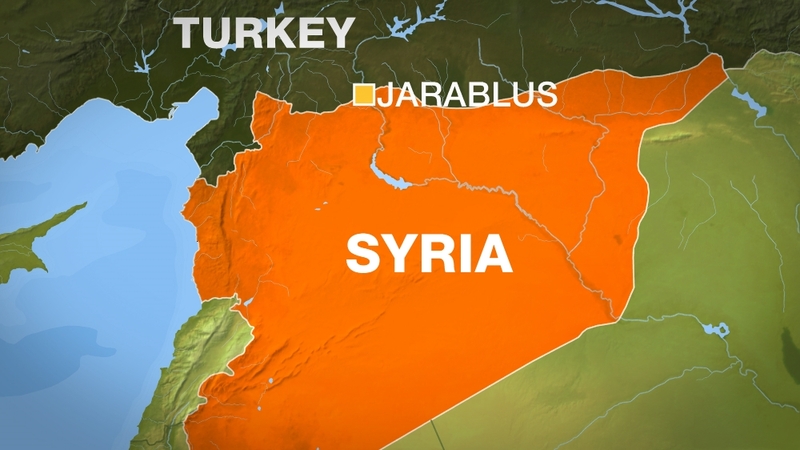 Turkish F-16 jets dropped bombs on IS targets in Jarablus — the first such assault since a November crisis with Russia sparked by the downing of one of Moscow’s warplanes by the Turkish air force, the private NTV television reported. Security sources quoted by Turkish television said a small contingent of special forces travelled a few kilometres into Syria to secure the area before a possible operation. Broadcaster CNN-Turk reported that Turkish artillery hit 63 targets in Syria. Several mortar rounds from IS-held Jarablus hit the Turkish border town of Karkamis on Tuesday, prompting the army to pound the jihadist positions on Syrian soil with artillery strikes. The comeback of Iran’s Mahmoud Ahmadinejad?